2004 – my first trip to Vienna, Austria to visit KT. 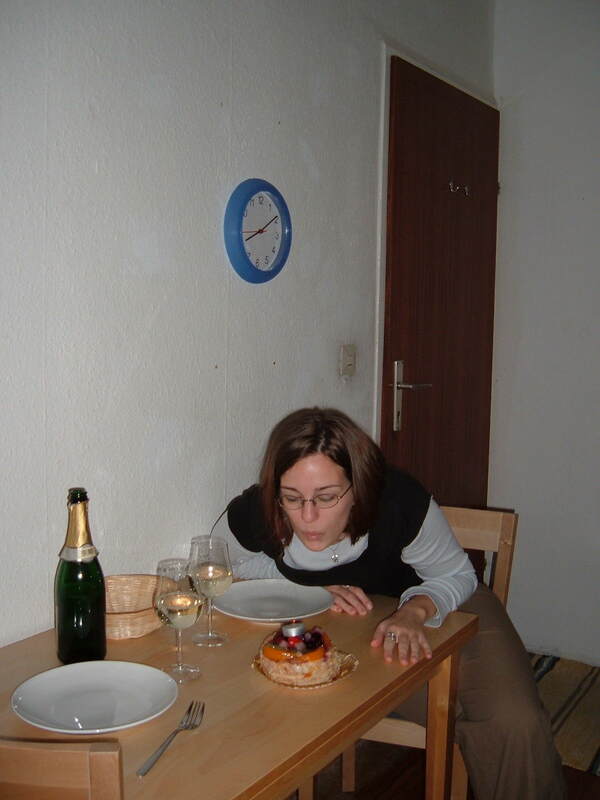 Here I am on my 23rd birthday, blowing out the “birthday candle” on a delicious fruit tart. So I have this feeling that my life is going to change in a big way tomorrow. I’m excited and scared, and maybe I’m putting all of my eggs in one basket, I dunno. Either way, I think that a great adventure is just around the corner, and I’m so ready to get started! Also, did I tell you guys that I got my birthday plans all figured out? I’m soooo psyched; the last few birthdays have been a letdown, so I’m really happy to know that this one is going to be exactly what I want. Maybe it’s all my fault for getting it in my head that birthdays were made for big adventures (eg. trips to Europe), but The Man and I have birthdays within a week of each other, with his being the day after Halloween, so we pretty much always end up celebrating Halloween/his birthday and not mine. Now that I think about it, I can only recall us doing something cool for my birthday twice in the last seven years, and both times were completely left up to me to plan and arrange, which definitely kills part of the experience. This year he kept saying that we were going to go somewhere or do something, but he never got around to it so I decided it wasn’t worth waiting to be disappointed. Even though I had to plan my own birthday again, this time I’m doing 100% exactly what I want with no exceptions, meaning that it’s gonna be 100% awesome! 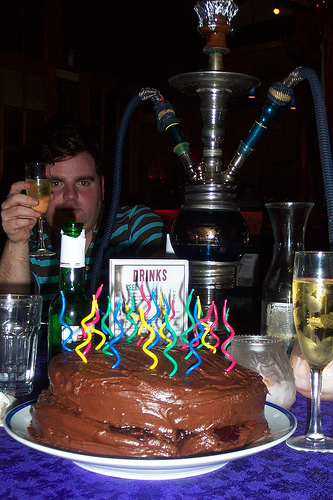 2005 – my first hookah experience, on my 24th birthday. This is my friend Al & (to date) the best thing I’ve ever baked, an ugly-but-delicious vegan mocha cake with raspberry filling. First off, I’m going to Austin. My bf Trin lives there with her immediate and extended family, and I love soaking up time with them any time possible. Trin’s parents always treat me like I’m just another of their kids, and I really dig spending time with her sisters and visiting family friends (there always seem to be a lot of us, like butterflies drawn to the brightest, most beautiful flowers in the garden). 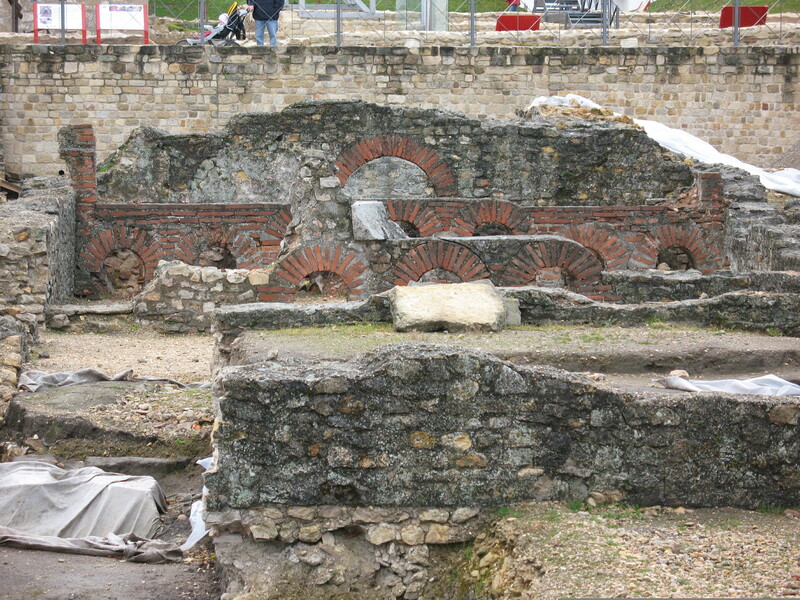 2006 – my first visit to a Roman town. I was in Austria again to be with KT on my 25th birthday, and during this trip she took me to Aguntum in Tirol, AND treated me to a ride on the Riesenrad, my favorite ferris wheel, back in Vienna. Back in college when Trin and I were roommates, we got into the habit of spending our birthdays together. Since 1999, I’ve spent almost every birthday either with her or with my other bf/college roomie KT, and the ones spent alone were definitely the lamest. I don’t care if we just sat around and ate vegan meatloaf, being with a best friend on your birthday is an automatic level-up to the birthday experience. If I can’t spend my birthday with either of them, I try to spend Trin’s birthday with her somehow. KT’s is a little hard to pull off, since she lives in Europe and travelling overseas in February isn’t exactly the smartest way to spend thousands of dollars. Maybe one day we’ll live closer. 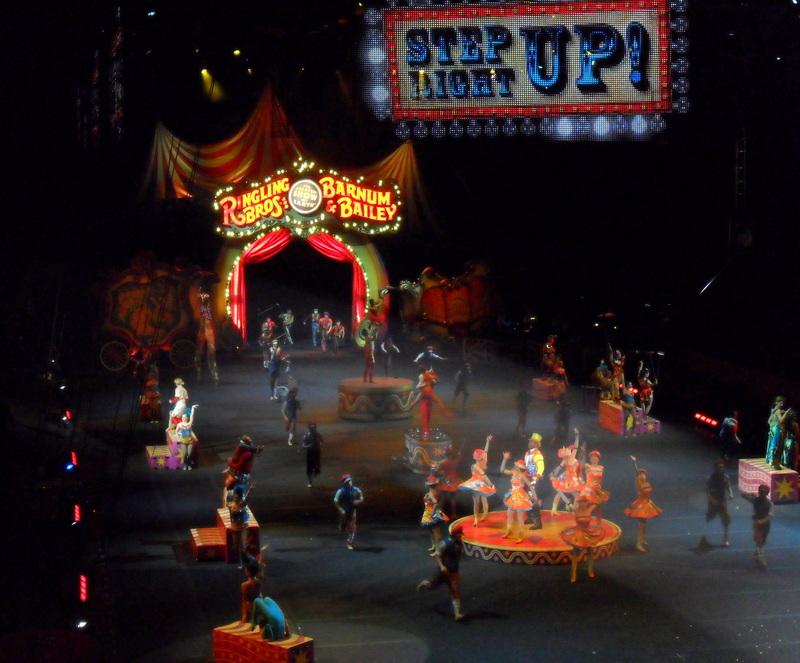 2010 – My first visit to the “real” circus since kindergarten, on my 29th birthday. To make things cooler, there’s also the whole deal about being in Austin for my birthday. I love that town, though I haven’t gotten to see half as much of it as I’d like. This time I’ll be attending a three-day yoga & music festival (I told you a tiny bit about this in an earlier post), and getting my inner yogi on! It’s going to be so much fun – the festival has tons of classes and workshops, musical performances, and even a little market. I signed up pretty early, so I had my choice of three classes a day in yoga, meditation or health, and I scored some really cool ones. One of them is aerial yoga, which I’ve been really interested in trying out. There’s a hula hooping class, and I’m even going to get to attend a kirtan, which my soul has been crying out for lately – they’re really hard to find around here, unfortunately. If you don’t know what kirtan is, and you 1) love yoga and 2) love to sing, drop everything you’re doing and find one. It’s a beautiful way to meditate while getting in touch with your breath and singing harmoniously with a roomful of people. It’s a lovely experience. So all of this sounds amazing, yes? But wait! You haven’t heard the best part! Even though I’m visiting Trin, and could probably stay with her, since I feel like this birthday is a bit of a big one I wanted to do something to make it really special. I decided maybe I’d get a hotel room, but then all the hotel rooms I checked out were just ugly and/or way too expensive. 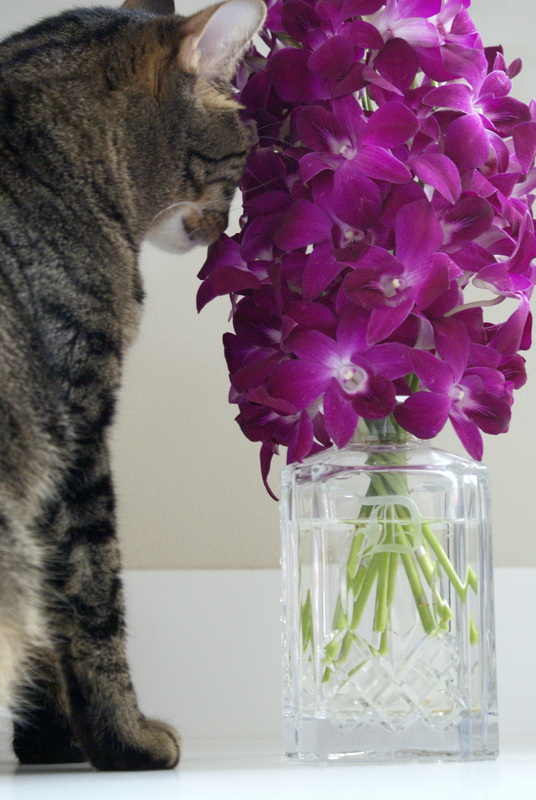 I wanted something beautiful and spa-like, but close to my friend’s house, and with some panache. On a whim I decided to check out the offerings at Air B&B, and by complete accident I found the coolest thing ever – my very own refurbished 1953 Airstream camper (also known as a caravan to those of you on the other side of the pond). How incredibly awesome is that?!?! 2013 – my first stay in a vintage camper! Not the trailer I’ll be staying in, but the real thing looks a lot like this. Click through to check out this gorgeous vacation caravan.